Below is a listing of our free 101 Courses for members. Click the title or View button to be taken to the course page where you can quickly register and download the course. 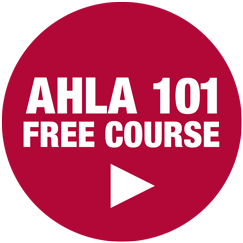 If you are logged in and do not see any course listed, your record in our learning management software indicates that you are not a member of AHLA. If you would like to join AHLA, please visit our Member Benefits page. If you are already a member, please contact us at dl@healthlawyers.org so we can troubleshoot your account and grant access.